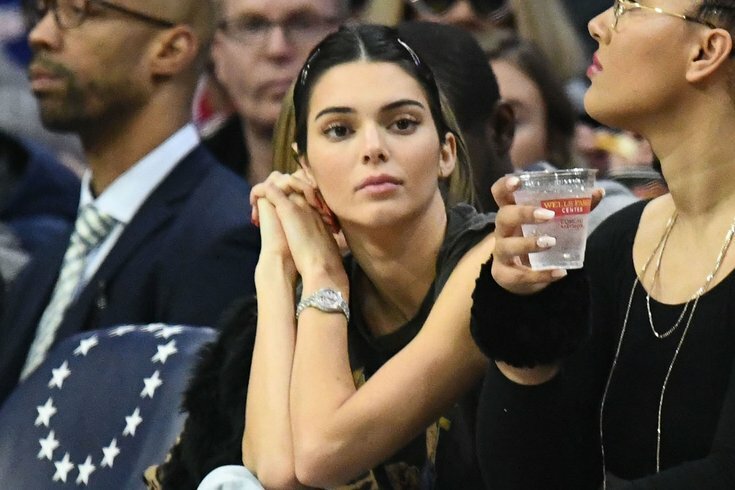 Kendall Jenner, seen here sitting court side at Sixers-Raptors game at the Wells Fargo Center. Not that it seemed at all in doubt these days, but yes, Ben Simmons and Kendall Jenner are officially dating. Jenner appeared on Ellen DeGeneres’s daytime talk show on Friday, and the host — who admitted she knows basically nothing about basketball, including what team Simmons plays for and what Philadelphia’s basketball team is called — asked her a couple questions about her All-Star boyfriend. Apparently Jenner played basketball in middle school, which is … something. She said she’s no good anymore, but the Sixers’ bench still *does* need a little reinforcement after Philly-area native Wayne Ellington opted for the Pistons instead. When a picture of Simmons appeared on the screen behind the two, DeGeneres asked, “Who’s that guy in the way?" and Jenner coyly said she didn’t know. The Sixers host the Nuggets on Friday night. With the debuts of new Big Four member Tobias Harris, along with Boban (!) and Mike Scott, fans should really be hoping for another Jenner appearance at this point.